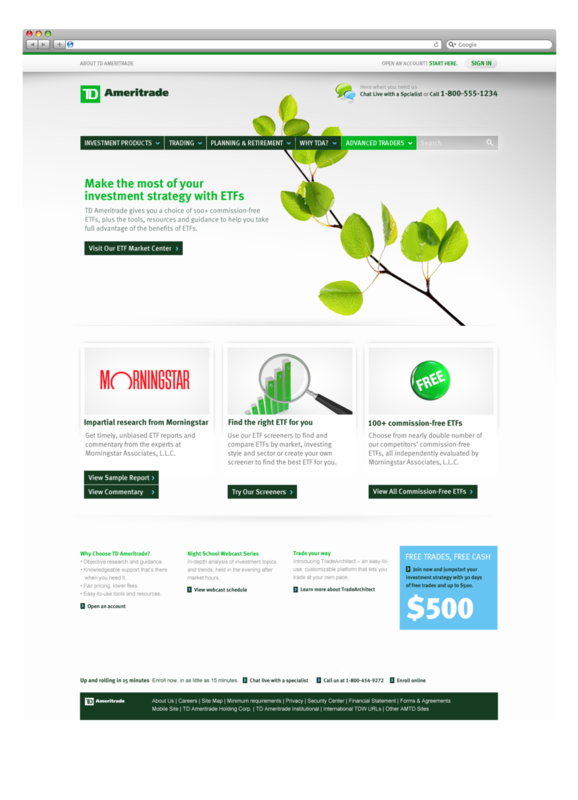 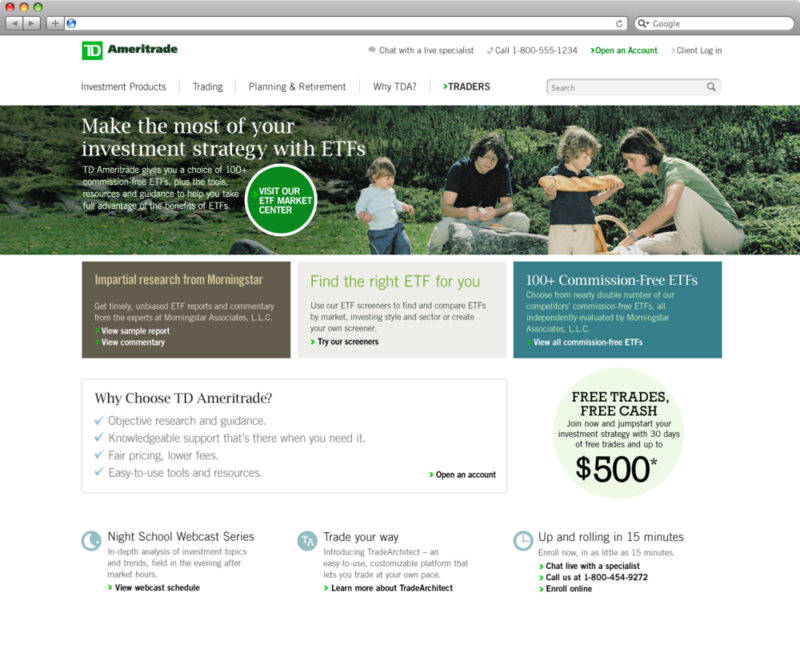 These are some mock ups from a proposal to address TD Ameritrade's online experience and to help not only generate awareness about their breadth of offerings, but also create a sense of usability and friendliness. 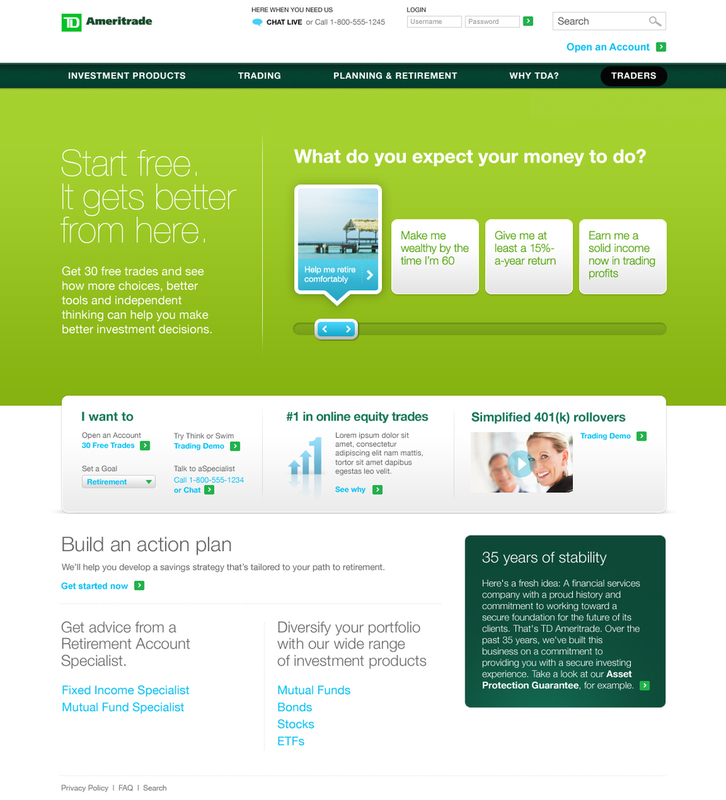 Working with strategy teams, the idea was developed to create an agile platform from which TD Ameritrade could easily update templates, swap content, create custom pages and gather data on the fly - providing them with a dashboard view of site performance. 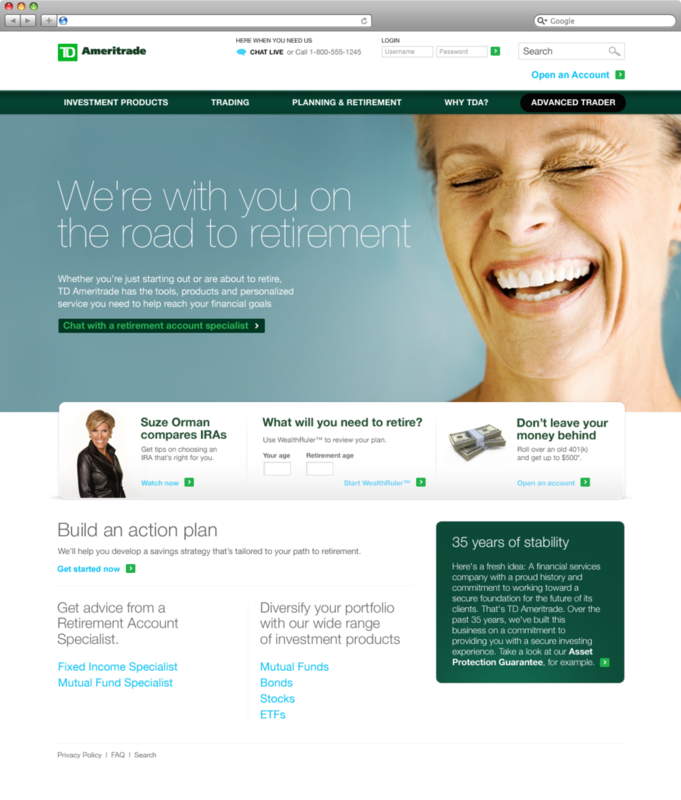 On the front end, we explored different visual applications to the same template to show the flexibility of the platform as well as showcase the many ways we could interpret the brand digitally.